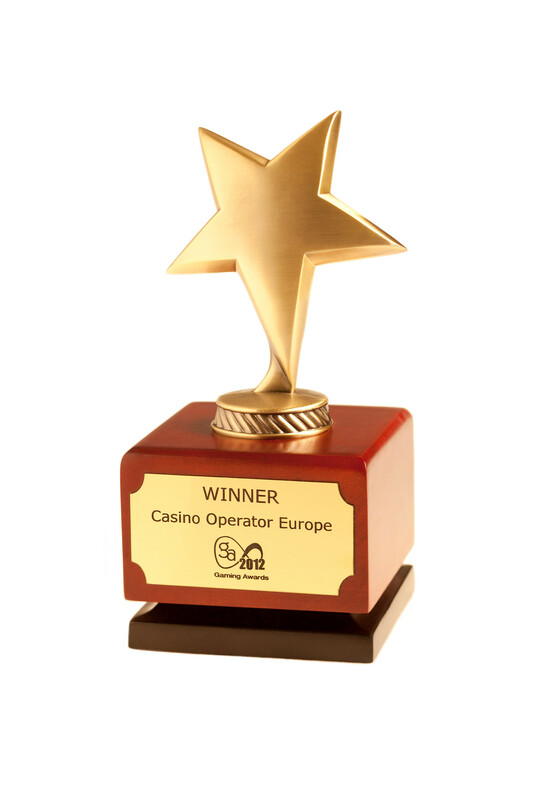 At a sell-out awards ceremony in London on 23 January 2012, Casinos Austria International was voted “Casino Operator of the Year Europe” for the fourth time. The Casinos Austria Group’s European operations currently include 36 casinos in 11 countries (Austria, Belgium, Czech Republic, Denmark, Germany, Greece, Hungary, Romania, Serbia, Switzerland, UK). 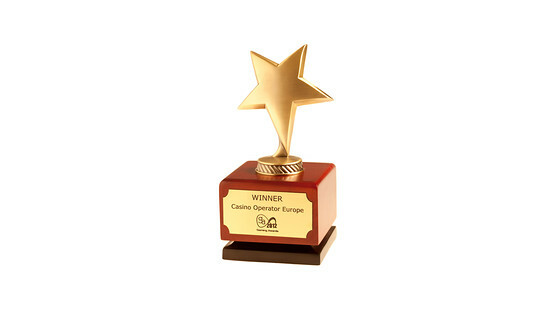 This was the fifth year in succession that the company had received an International Gaming Award – in addition to “Casino Operator of the Year Europe” in 2008, 2009 and 2011, Casinos Austria International was voted “Socially Responsible Casino Operator of the Year” in 2010.
International Gaming Awards were presented in a total of 19 categories in 2012, with winners selected in an extensive judging process by a series of juries made up of leading international industry professionals, journalists, analysts, consultants and representatives of the main sponsors. The “Casino Operator of the Year” award is presented to the operator who has consistently and decisively dominated the casino sector in its region during the year. Judges were looking for operators who have the vision, originality and vitality to set themselves apart from others in a crowded market environment. Finalists were judged not on their size, but on aspects like brand identity, marketing, customer service, innovation and use of new technologies. Founded in 1977, Casinos Austria International is a leading player in the global gaming and entertainment industries and currently operates 36 landbased casinos in 17 countries, 5 shipboard casinos, 16 slot parlors/mini casinos in Argentina and Italy, as well as a lottery in Argentina. Its parent company, Casinos Austria AG, also operates a further 12 casinos in Austria. Service, quality, integrity, responsibility, and respect for tradition are the driving forces behind the company’s success and are reflected in all its business activities.